Following exhibitor and visitor feedback, World Travel Market London 2016 will be a three day event. It will take place between Monday 7 to Wednesday 9 November with the opening hours extended from 10am to 7pm for all three days, giving exhibitors and visitors extra time to negotiate and agree business deals, while reducing the ancillary costs of exhibiting. Over the past five years WTM London visitor numbers have grown by 20% to 32,528, with buyer numbers from the WTM Buyers’ Club over the past three events increasing by 16% to 9,124, meaning a three day WTM will give exhibitors the opportunity to see more people over a shorter time span. Total participant numbers for WTM London 2014 hit a record 51,500, with the event generating a massive £2.5 billion in industry business deals. At the new and improved WTM London 2016 International Press Centre moves from the Platinum Suites on to the exhibition floor to increase the networking opportunities between exhibitors and the almost 3,000 international media in attendance. Furthermore, a new amphitheatre seating up to 300 delegates will join the Global Stage on the exhibition floor, meaning the majority of the thought leadership sessions will be adjacent to the exhibition pavilions and stands . Last year the Events Programme had an attendance of 17,036 including 8,829 unique delegates. The hugely popular UNWTO & WTM Ministers’ Summit will take place on Wednesday 9 November, with the WTM World Responsible Tourism Day – the largest day of responsible tourism action in the world – taking place on Tuesday 8 November. Moving the UNWTO & WTM Ministers’ Summit to the Wednesday gives the ministers the opportunity to attend the WTM Festivals that evening – the end of event celebrations across the exhibition floor which will close the WTM London 2016. This will enhance their networking opportunities with both the private and public sector. WTM London will continue to kick off will the phenomenally successful WTM Speed Networking on the Monday, before the exhibition opens, alongside a further event on the Wednesday. 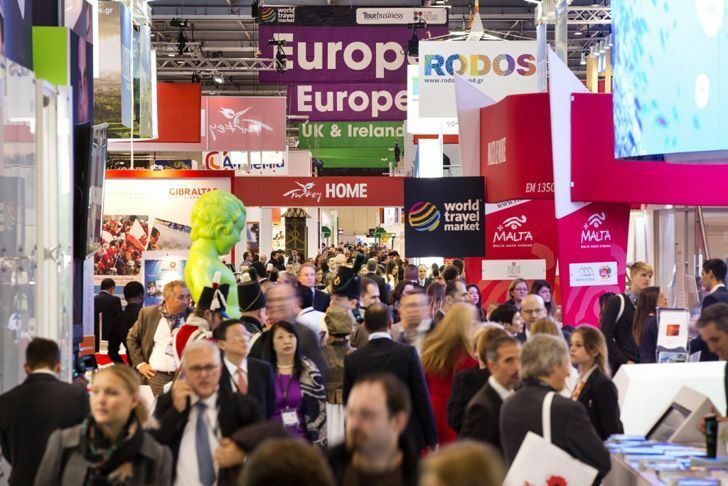 In total more than 1,436 exhibitor personnel meet with 303 of the industry’s most important buyers across the two speed networking sessions at WTM London 2015. The final day of WTM will also host the WTM Bloggers’ Speed Networking, which saw 70 bloggers have meetings with 236 exhibitors. WTM London 2016’s move to a three day event follows post 2014 event research which for the first time showed exhibitors and visitors would prefer a three day World Travel Market London. Post WTM London event research always includes questions regarding the duration of World Travel Market London. Previous research has always shown exhibitors have been split between a three and four day event. However, post WTM London 2014 research saw a swing towards WTM being a three day event. The research also revealed exhibitors comprehensively prefer the event to be across the days of Monday, Tuesday and Wednesday.